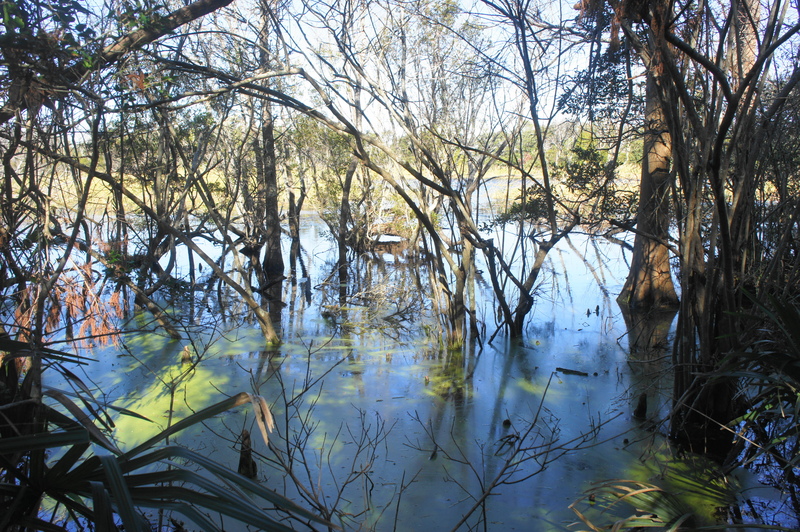 Situated on Hatteras Island in North Carolina’s Outer Banks, Buxton Woods is one of the last undeveloped forests in the area and remains rich in plant and animal life. 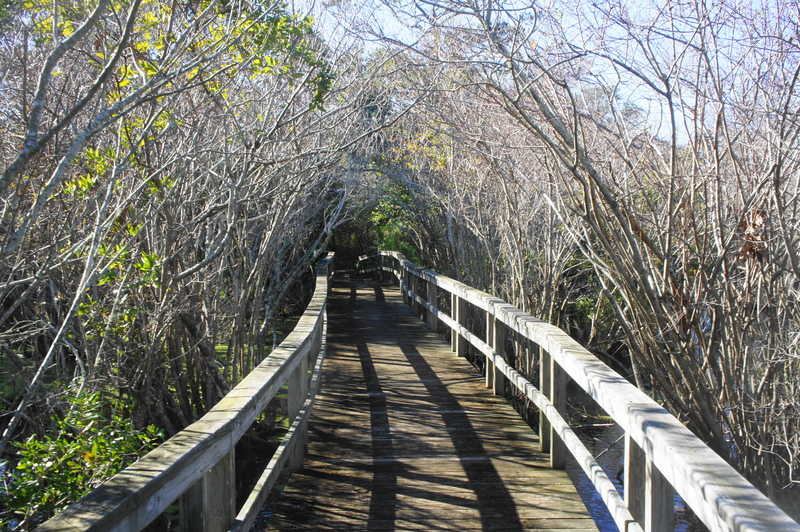 The Buxton Woods Trail in Cape Hatteras National Seashore provides a short preview of the terrain, forming a 7/10-mile stem-and-loop through the maritime forest. Countless signs provide interpretation of the local wildlife and tell the story of an environment constantly being shaped by the harsh elements: wind, water, and salt. 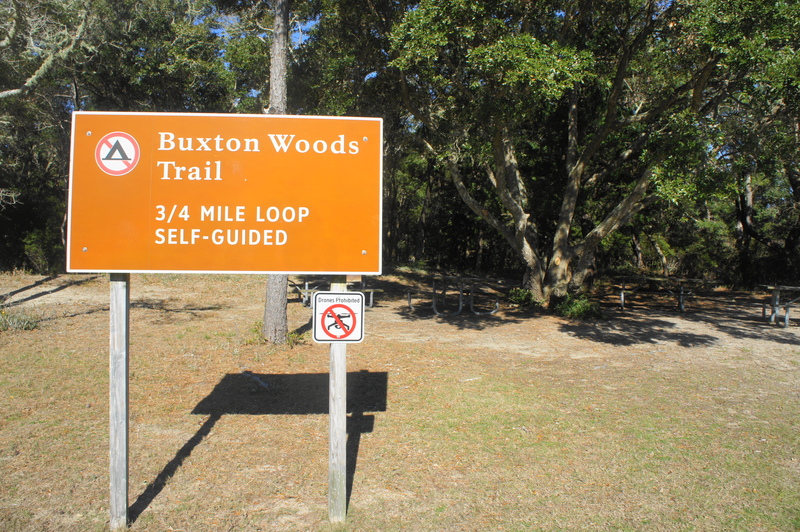 The Buxton Woods Trail begins at the Buxton Woods Picnic Area, situated just down the road from the Cape Hatteras Lighthouse. Once driving south on Lighthouse Road, you will enter Cape Hatteras National Seashore, and the town of Buxton will give way to a dense thicket of greenery. Stay straight at the turnoff for the lighthouse, then pull into the parking area on your right: this is the picnic area. There are a handful of picnic tables at the site, as well as a large dumpster for food and trash. 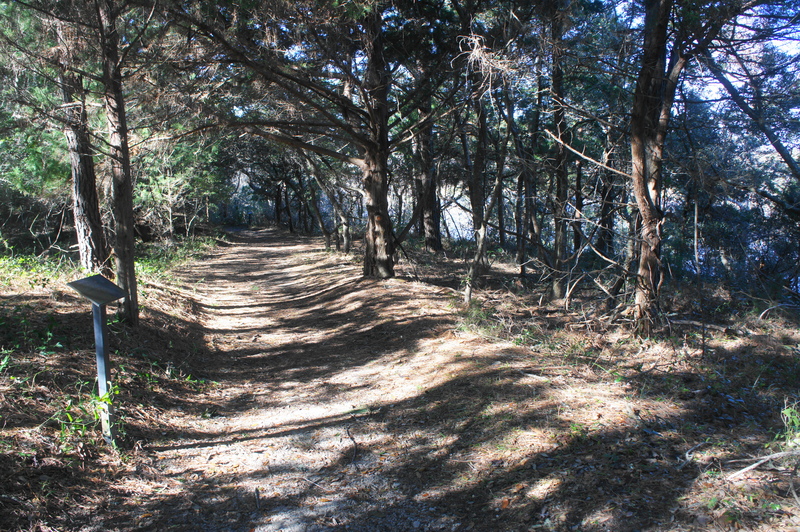 The well-signed Buxton Woods Trail takes off from here, leaving the road behind in favor of a canopy of live oaks. The sandy path climbs gradually as the tree life diversifies: oaks, loblolly pines, bayberry trees, hornbeams, and occasional dogwoods dot the landscape. 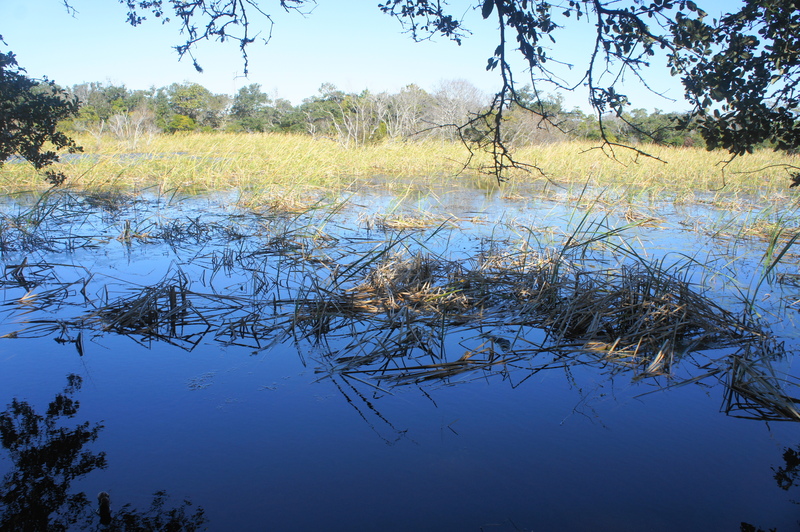 A couple minutes into the hike, traces of water come into view on the right: this freshwater marsh is called a “sedge”—a pond-filled depression between old beach ridges. In fact, the woods here used to be entirely sand dunes until finally stabilizing, which allowed trees and shrubs to grow. Roughly 250 yards from the start, the Buxton Woods Trail splits, marking the start of the loop section. Bearing right first, the wide and easy path skirts the banks of Jennette’s Sedge, a reed-filled freshwater pond on the right. Despite the difficult conditions for plant life, fauna thrives in the forest, from warblers, woodpeckers, and thrushes to squirrels, white tail deer, foxes, and river otters. Rattlesnakes and cottonmouths are common (but fortunately rarely bite unless provoked). Bald eagles and peregrine falcons have also been sighted from time to time. 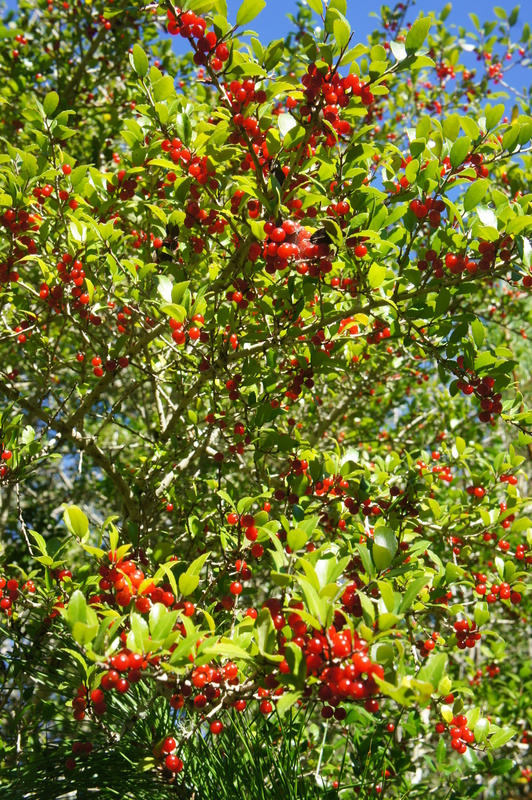 At 4/10 mile, another, smaller swamp appears on the right, and hikers will shortly thereafter pass a colorful yaupon shrub on the left that sports bright red berries. Weaving amid the relatively dense vegetation, the trail returns to the initial fork at just under 6/10 mile. 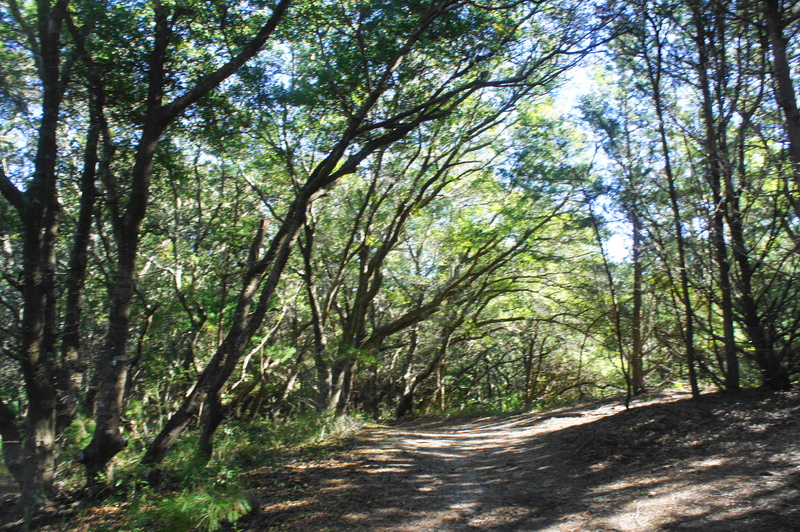 From here, head back the way you came, following the wide path under the canopy of live oaks again to return to the Buxton Woods Picnic Area. All told, the hike covers 7/10 mile and requires about 30-45 minutes to complete. This entry was posted in Easy Hikes, North Carolina, Outer Banks and tagged Buxton Woods, Buxton Woods Trail, Cape Hatteras, Cape Hatteras National Seashore, Hatteras Island, Jennette's Sedge, loop hike, North Carolina, Outer Banks. Bookmark the permalink.